Marketing types and higher-ups at firms who sell luxury goods (Armani) "accessible luxury" (Frederique Constant watches) and "affordable luxury" (an oxymoron) like to hire celebrities to promote their brands. Shu Qi fronts Armani and Frederique Constant as well as Swarovski, a company that falls in the the third category. She is famous in Asia, reasonably known in Europe and North America; she adds a shot of glamor to almost any product or event and can be depended upon to be on time and ready to sparkle. One doesn't move from crotch shots in Taiwanese stroke books to international movie star by not showing up. 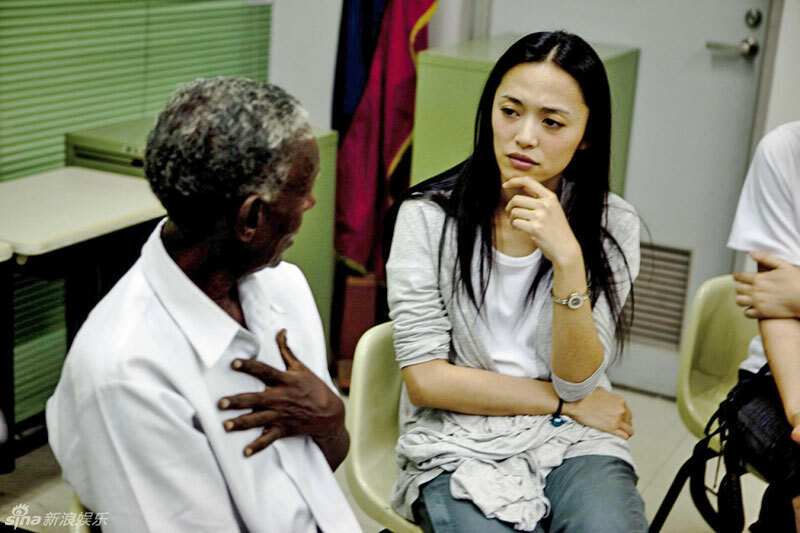 The United Nations Refugee Agency (the UN High Commission for Refugees to traditionalists) announced that Yao Chen, a spokesperson for them during the past three years is now an Ambassador and Sina has the story. Yao Chen visited people displaced by persecution, conflict and violence in the Philippines, Thailand and Ethiopia, doing exactly what the UN expects of her, create "widespread media coverage in mainland China, Hong Kong and Macao as well as other parts of the Chinese-speaking world" by having her picture taken in squalid, makeshift camps. The archetype for this activity is Angelina Jolie who visited camps on the Jordan/Syria border where half a million civilians who fled the civil war in Syria have landed. June 20 is World Refugee Day in case you forgot to mark in on your calendar. It is time to turn to Webs of Significance where YTSL describes the candlelit (and this year drenched) Hong Kong demonstration to recall the heroic efforts of Chinese citizens 24 years ago and to make sure that those who don't remember the actions in Tienanmen Square will know about them.